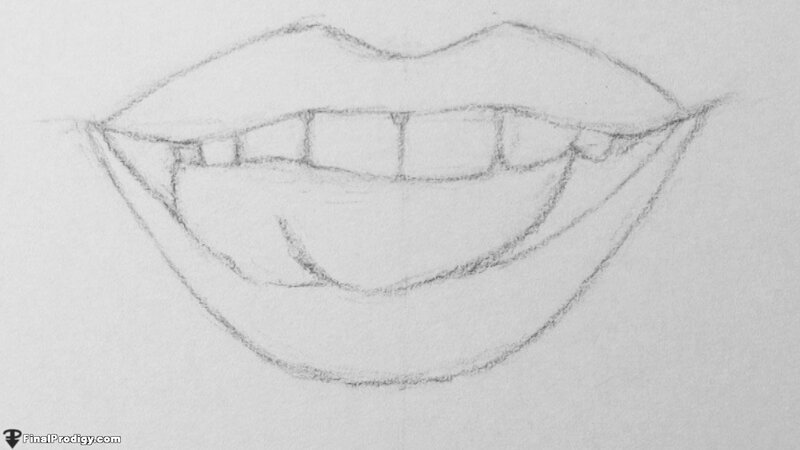 Sketch in the basic shapes and guidelines for the lips, teeth, and tongue. Erase unneeded lines and lightly define the primary outlines. Add rough shading to the drawing. Use woodless graphite to quickly cover large areas. Smooth out the shading with a blending stump or paper towel. 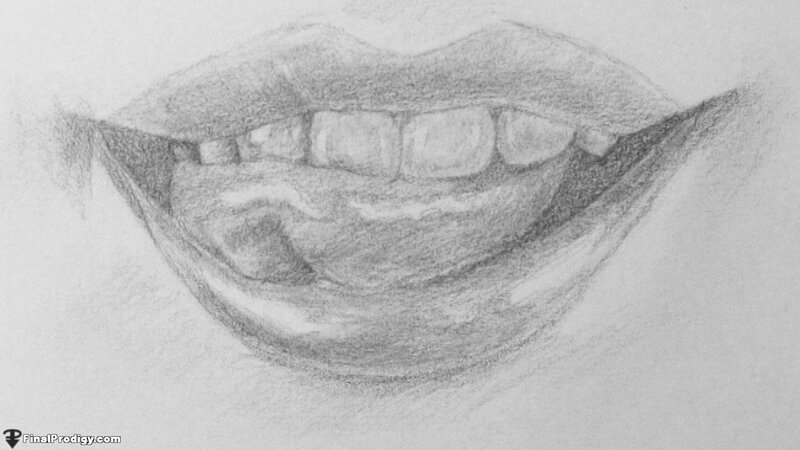 Define the light shading of the drawing using a sharp, hard pencil (H - 4H). Use a kneaded eraser to soften highlights and a blending stump to lightly smooth out the shading. 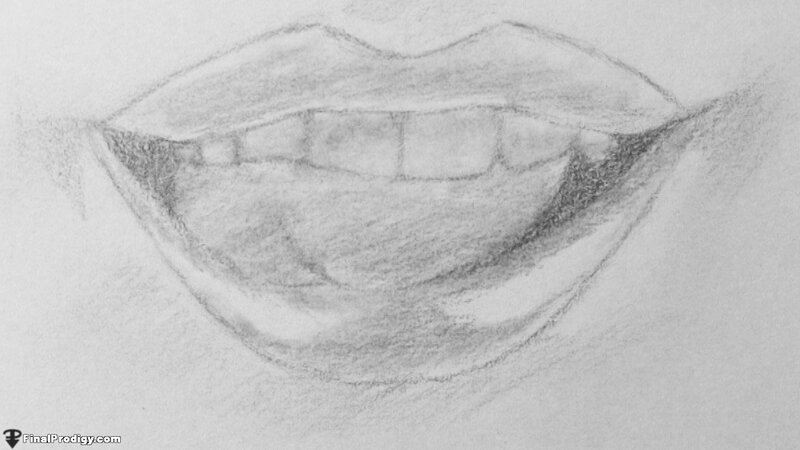 Define the dark shading and shadows using a soft pencil (2B - 6B). Use 2H, HB and 4B pencils to add finishing touches. 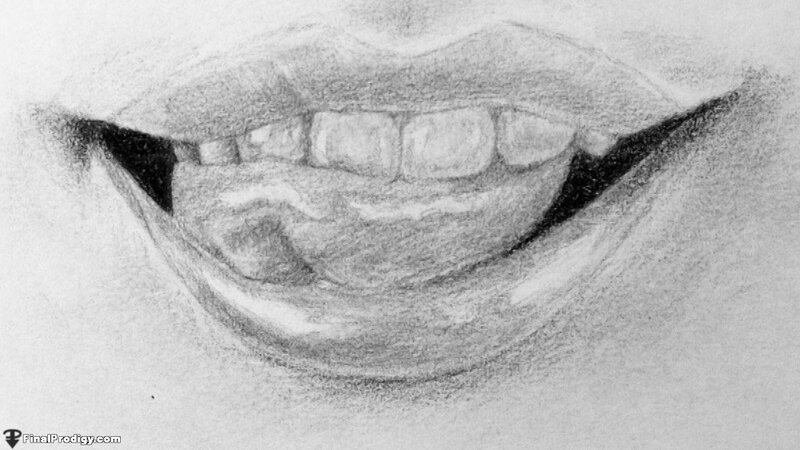 Use the 2H pencil for light shading/crisp lines, HB for midtones and general shading, and 4B for shadows and textures. 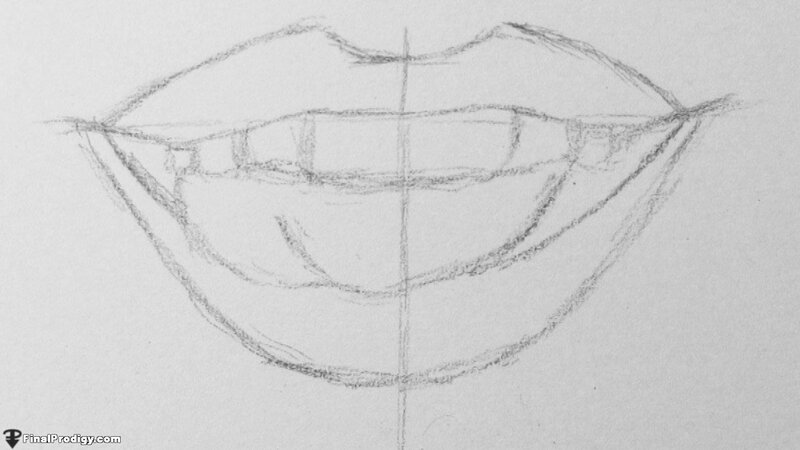 Try to work from left to right when adding finishing details (or right to left if you are left handed).